NEW YORK (CNN) -- Rapper and actor Clifford Smith, better known to fans as Method Man, was arrested Monday and faces charges of failing to pay taxes, the district attorney in Richmond County, New York, said. 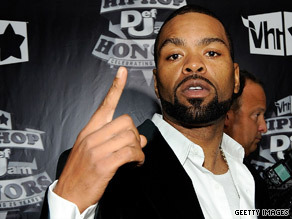 Clifford Smith, better known as Method Man, failed to file tax returns and owes $33,000, authorities say. Smith, 38, owes the state nearly $33,000 for New York State income tax returns that he did not file between 2004 and 2007, district attorney Daniel Donovan Jr. said in a statement. The Grammy-winning rapper, an original member of the Wu-Tang Clan, was arrested at his home on Staten Island. He faces a felony charge of repeated failure to file taxes and a misdemeanor charge of failure to pay tax. The felony carries a sentence of up to four years in prison. Smith was to appear at an arraignment in Staten Island Criminal Court on Monday. Smith's attorney Peter Frankel was not immediately available to comment.